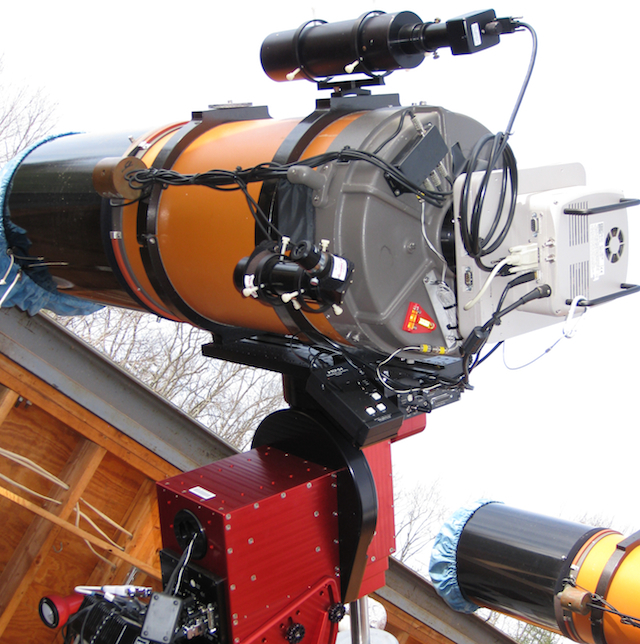 The Planetary Astronomy Laboratory is part of MIT's department of Earth, Atmospheric, and Planetary Sciences (EAPS), Course 12. We are specifically affiliated with Planetary Science, MIT Course XII-3. Browse the links to the left to view a selection of planetary astronomy courses offered by EAPS. Pier 4's 14-in telescope at the Wallace Astrophysical Observatory. Students in Observational Techniques of Optical Astronomy use the telescopes at Wallace to carry out observations for their final independent research papers every fall.